The trend in digital video viewing is shifting to specialized services like Netflix, YouTube, and Hulu, and some of the most popular types of web media are music videos. Joel Korpi founded Rockify, a platform to experience music videos anytime and anywhere, to fuse the two worlds of music videos and popular web media together. While music videos are accessible on YouTube, the Top 40 tend to be promoted over all else. Rockify’s clean, vertical engine operates similarly to Pandora and directs user traffic to musicians not among the Bieber – Minaj – Perry circles. 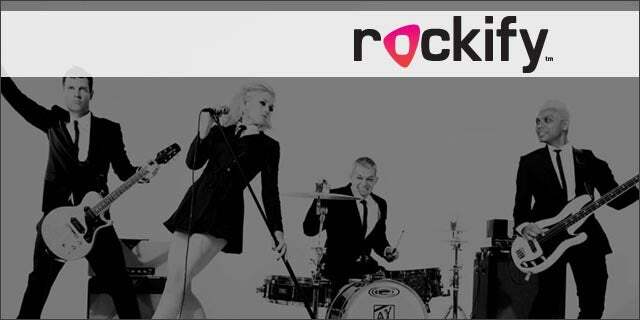 Aside from helping users discover new music video content, Rockify offers independent bands and labels an opportunity for publicity. The current channels that bands and labels use limit their options. They can sell DVDs, which do not do well, or post their content to YouTube, iTunes, Netflix, or Hulu. However, for bands to be successful through these already-established digital media, there has to be a massive amount of monthly views. Otherwise, there is no chance to generate revenue. To demonstrate, Korpi took Rockify to SXSW, where a lot of bands were performing at official and unofficial venues. He created a special Rockify channel for SXSW so people could know which bands were playing and exactly where they were playing. Korpi wants to take Rockify beyond just SXSW in the future, though. It will still serve the same function it had at SXSW, but will be utilized at large music festivals all over America like Coachella, Lollapalooza, and Bonnaroo. “If we figured out how to do all of this for music videos, it stands to reason that we could then take our knowledge and apply it to other content as time goes on,” posits Korpi. For example, people with specific passion groups, like certain sports leagues, could sign up for a genre-specific pass with Rockify in the future. That way, users could pay for exactly what they want without being gouged for broad-spectrum channels that they may never watch. Rockify was featured at Tech Cocktail’s Austin Mixer and Startup Showcase.